After three months, I left Antalya! 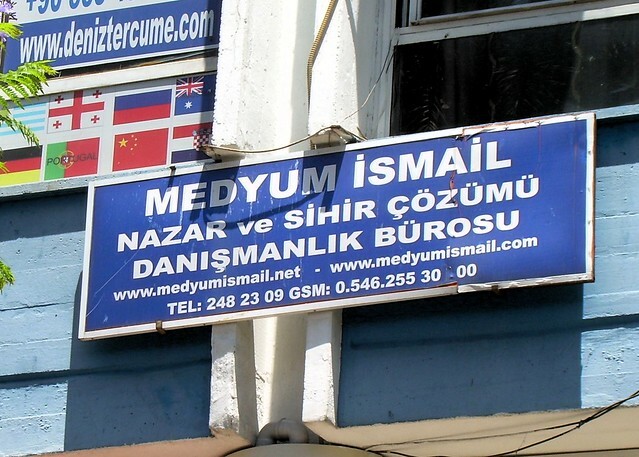 His consultancy office (danışmanlık bürosu) provides solutions (çözümü) to magic (sihir) and Turkish evil eye (nazar) problems. Antalya just might have something like Niwot’s curse. 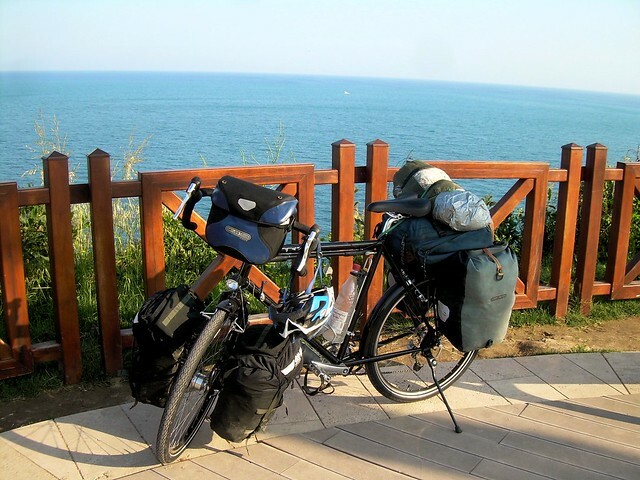 This entry was posted in Bicycle touring, Turkey and tagged Antalya. Bookmark the permalink. Ah, great to see your new bike on the road ! I am sure there are a few things you are going to miss from Antalya. Off to Reyjavik tomorrow. Hopefully will have time on the road to give you more of an update. Oh, I sure do miss Antalya. Let’s try to catch up with Skype. I’ll be in Ankara for a few days, but I’m not sure what the internet situation will be yet. Is that a wine bottle in your cage? humph. 🙂 Nice to see you moving again- I was getting worried. You are both amazing! Thanks for the wonderful treat of reading the blogs! Ride on!